Joyce Mullen is president of Global Channel, OEM & IoT. 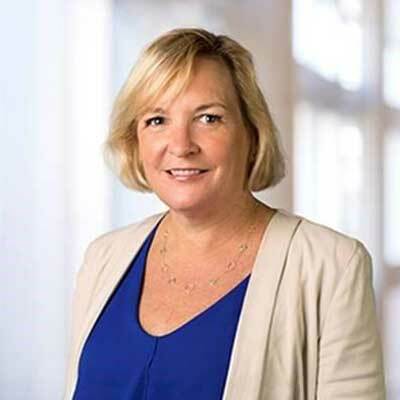 Joyce focuses on all facets of the multi-billion dollar Dell EMC Partner Program, including channel strategy, partner program design and omni-channel enablement, as well as execution across channel, global systems integrators and distribution relationships. Her team delivers best-in-class technology to OEMs allowing them to focus on their intellectual property and growing their business; and to IoT customers and partners, who depend on connected devices. Joyce is committed to helping customers solve the world's most vexing problems. For 18+ years Joyce has led teams in operations, supply chain, partner strategy, services delivery and logistics at Dell. Prior to joining Dell, she had a nine-year career at Cummins Engine Company. Throughout Joyce's career, she has actively served on community boards including chairing or co-chairing the Austin chapter of the March of Dimes, Women in Search of Excellent (WISE) board, Forte Foundation, and the Brown School of Engineering Corporate Affiliates board. She is currently on the boards of the Brown School of Engineering corporate affiliates, Telecommunications Industry Association (TIA), industry advisory board for Ericsson North America and Forbes Executive Women's Board. She is vice chair of the Central Texas Food Bank. We listened to our partners to make it easier to do business with us. Every day, we strived to further deliver on our promise of Simple. Predictable. Profitable. A few recent examples include: • Partners who are in both the OEM and solution provider program tracks can now combine their revenue to apply to a single tier threshold. • We launched new maintenance training paths. Partners who have completed training requirements in the previous year can now cut their training time by up to two-thirds. • We made it easier for partners to transact across the full Dell Technologies portfolio, starting with VMware. • Our team drove efficiencies around deal registration, faster quoting, and faster configurations. • We made it easier for partners to attach services, with simplified services rebates, tools and training. • We launched enhanced partner financial programs that made it easier for partners to fuel their customers' businesses. Partners who utilize Dell Financial Services and Working Capital Solutions are growing their companies two times faster than partners who don't. 1. Further deliver on our promise of Simple. Predictable. Profitable. Create the industry's best partner experience. 2. Drive profitable growth. Grow the business. Expand storage and services. 3. Be the world's best channel team. I've taken on an expanded role leading the talented Dell EMC global channel, OEM and IoT team. This team has earned some remarkable awards, including six CRN ARC Awards and a 5-star CRN rating for the Dell EMC Partner Program. Dell has won many incredible product awards recently, a few include the IoT Breakthrough Award for our IoT partner ecosystem and 87 awards at CES. I was recognized as one of CRN's "Most Influential Channel Chiefs" and I've been included on CRN's "Women of the Channel list". I'm also very proud to have won the 2017 Dell Customer Hero Award. I admire Angela Merkel for her amazing leadership during social and economic challenges. Merkel has been a longtime leader of German economic expansion and has guided her country out of a recession in her time as Chancellor. The way she has steered the highly contentious, but humane treatment of refugees is truly commendable. She's a leader of leaders in the EU and is committed to her integrity. While recent months have been difficult, Merkel continues to collaborate and compromise in the interest of her citizens. Every single person you meet teaches you something. Be a sponge. Learn from everyone. Leverage the knowledge and talents of those around you. It's been almost 20 years since I managed a Cummins Engineering manufacturing plant, but there is still one person who really stands out to me. This team member couldn't read or write, but he was the smartest person in the plant. Capability isn't all based on education or title, it's about what you've learned from the people around you. I'd like to be in a partner's shoes for a year. That perspective would help me develop better programs and strategies. Until that happens, I'll continue to meet with and learn from our partners at every opportunity. I'd also love to learn how to code. In "The Speed of Trust" by Steven M.R. Covey, Covey describes trust as "the one thing that changes everything," both personally and professionally. I've seen it first hand - teams with built-in trust are far more efficient. It's an essential component of any high-performing organization.